Almrausch 70 cl. Liquer - L. Psenner South Tyrol. Dol Gin Dolomiti Dry 45 % 0,5 lt. - Distillery Zu Plun 47,50 EUR / 95,00 €/lt. Hay Liqueur 50 cl. - Seppila Agriturismo Tesido - Taisten 32,30 EUR / 64,60 €/lt. Gentian Grappa 70 cl. - Villa Laviosa 22,20 EUR / 31,71 €/lt. Rue Grappa 70 cl. - Villa Laviosa 22,20 EUR / 31,71 €/lt. Gebirgsenzian Genziana 70 cl. - Pircher South Tyrol 22,45 EUR / 32,07 €/lt. 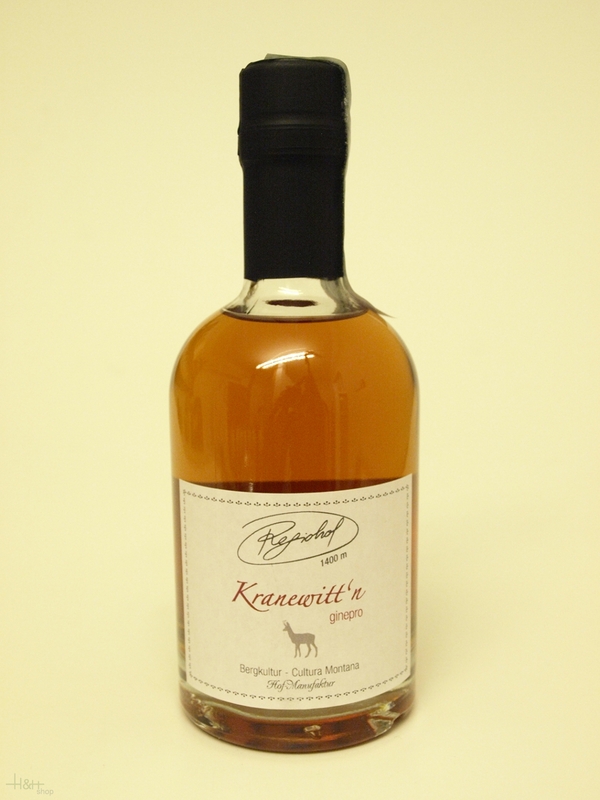 Kranewit Juniper 0,70 lt. - Distillery Roner 19,35 EUR / 27,64 €/lt.